The reality of relevancy is a frightening one when talking about the LCS. Historically, only a selected few have remained competitively relevant after dropping in form. Going through an LCS Season full of ups and downs, SK Gaming have achieved what can be considered another chapter in the "relevancy" book. From being almost relegated, to attending the Season 4 World Championships in Singapore and Korea as frontrunners of Europe, the squad has solidified its position in the elite. In the words of fans this would be called "hard practice". To the players this represents countless nights spent at the drawing board, boasting their strengths to a level which would overlap and compensate their weaknesses. 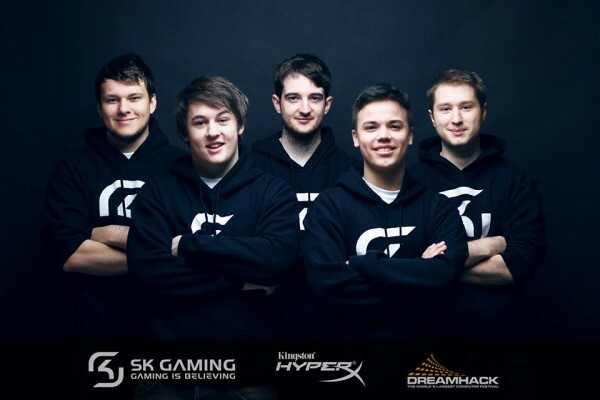 In the end, the owner of SK Gaming, Alexander Müller, would simply state that "that is good management". There is no reason to believe only one of the aforementioned can be a good answer. 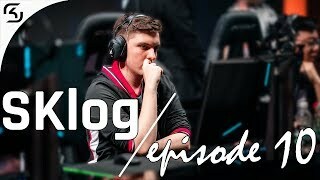 The second place of the Spring split actually set up the team in a rather bad position should they have a bad start in the Summer. 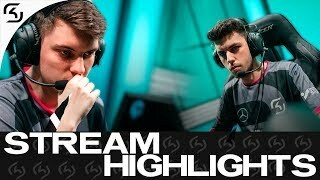 There was a legitimate case and it could be argued that despite their strategical dominance, SK had virtually no competition during spring due their opponents' questionable and sometimes appalling game play. Alliance were in an identity crisis, Fnatic went on a 7 game losing streak and MIL/SHC were mediocre at best. With their second place finish, SK returned to relevancy after a disappointing and uneventful Season 3. This bar, however, was their second foe just behind the enemy team on Summoner's Rift. The boys had a lot to prove, regardless of the good finish. 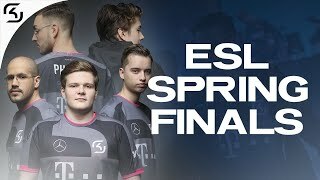 Debates about the relevancy of the Spring split in comparison with its summer version are no news nowadays. The direct seed into the World Championships cannot be compensated by a decent prize purse. That is exactly why usually the Summer split is the estimator by which we can predict or give a general direction as to how the standings in a region look prior to Worlds. Here is where the strong image SK created in the first split came under fire and had to endure a grueling 11 week test. The team once again displayed consistent play - they held a top 3 position in the league up until week 8 where they were surpassed by an inspired Supa Hot Crew. This time, however, things were different. Alliance finally found the "right" way to play the game, Fnatic took the tournament more seriously and were simply charging up in order to make a final sprint up the leaderboard. Even at the back of the pack, SHC were taking huge improvement leaps in both mechanics and overall strategy. At certain points, it seemed as SK lost their mojo at a key time. In a Curse-like fashion, SK Gaming took fourth place and looked unshaken by the series of bad games. In reality, they indeed should not take a simple best of one as an indicator of how they would fare in extended series. In the public eye, this was not the case, as their pairing with Millenium in the quarter-finals meant grim news. If they lose this match, the aforementioned theory comes true and SK suddenly would become a mediocre team, thus falling heavily out of relevancy given their previous "gimmicky" finish. Fortunately, a completely different team showed up in the playoffs. Despite the neutral record in the regular season (2-2), Millenium looked strong. 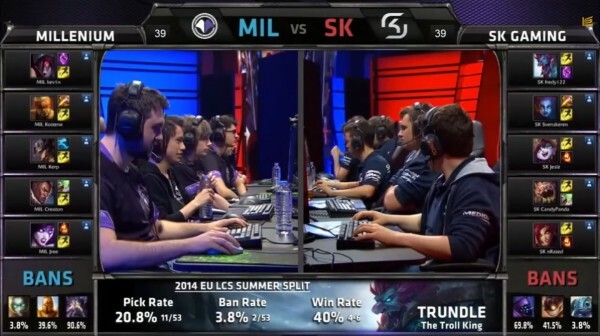 To say that SK outclassed Millenium would be an understatement to the series. The latter looked clueless in the pick/ban phase, leaving both viewers and experts in a torn mental state with their baffling decisions. After cruising through Game 1, thanks to an outstanding Maokai performance by fredy122, Kerp's team looked clueless. Despite banning the tree, they could not overcome Jesiz's Ahri and upon leaving Maokai unbanned in Game 3, they sealed their fate, giving SK a comfortable victory. Anyone who follows the LCS regularly knows that you would want to avoid Fnatic in 99% of the cases. Thanks to their fourth place finish, SK was paired with Alliance. On paper, slaying the mighty Alliance is easier than taking down the machine that is Fnatic. After 4 games, our boys were ridiculously close to doing so. Many point how unlucky the team was in game 4, where Jesiz got caught a few seconds short of his shockwave, a move which would have almost guaranteed a fifth and deciding game. Strategically, the boys were one step ahead of Alliance. Ticking time-bombs such as Froggen, however, need to not only be kept at bay, but disrupted at every possible moment. Despite the objective based game going in our favour, Alliance kept winning important trades in crucial mid/late stages where they could turn the tide of the game very quickly. The godlike disruption of Jesiz, mere seconds before the shockwave came up was the play which decided the series. There is no shame in falling to the future champions, but this is no reassurance, given how close SK were actually to game 5. 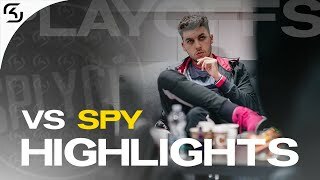 In an interview with our Editor-in-Chief Curlychan, Tabbz actually stated that "the game versus SK was tougher [than their match with Fnatic]", a testament to our boys. Victory is sweet, especially when you have just proven yourself. There is no use crying over spilled milk, an approach SK adopted and immediately began the final preparations for their game with ROCCAT. 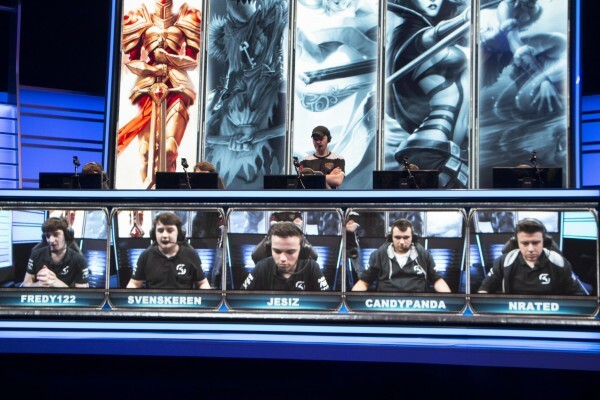 This clash with the Poles determined the precious third and last available European seed for the Season 2014 League of Legends World Championships. In three straight games, SK Gaming looked in complete control. With all three matches finishing in a 10k+ gold surplus, the team even left Maokai open in game 2 and still managed to contain the beast. Prioritizing the removal of Nami, a hypercarry (Tristana in Game 1 and Kog'Maw in game 2) and a supportive mid laner such as Zilean, the team broke through ROCCAT's defense and secured a spot in Asia later this year, where they will be once again, among the world's best. Pulling the "reverse-Vulcun" (credit to s4208198 for coining the term), SK Gaming went from Relegations to Worlds in one season, from the almost irrelevant team to the objective-game kings of the old continent. If you ask the players, the key is hard work and determination. If you ask Alex Müller, that is good management. If you ask me, it's a giant dose of both. When thinking of a player who stood out in Season 4 for the team, the only two names that jump into my mind are nRated and fredy122. Both consistently effective, yet not as flashy. Quietly doing their job, they allowed their carries to pile up kills, gold and objectives, all in the name of the common goal. This time, I would give the SK.MVP award to Simon 'fredy122' Payne. The Brit came in as a gigantic question mark once announced as the new SK top laner. 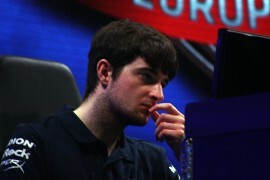 Throughout the season, however, fredy established himself as one of the most consistent top players of the split. He has been target-banned more times than any other top laner in the league and has played over 16 champions during the course of Season 4, even achieving a clean 100% win rate with Aatrox and Trundle during the Spring Split regular season. - Fifth in the EU LCS in Season total assists(75) right behind Svenskeren, Nyph, Vander and nRated. 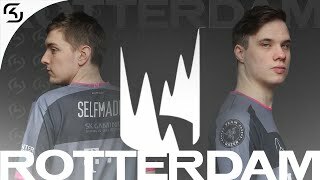 - Second in KDA ratio (2.85), first in Gold per minute (339), second in total gold (140k) and first in total assists (75) in the EU LCS top laner rankings for Season 2014. - EU LCS top laner with most kills (22) during the regular season. - Played Tristana top as a potential counter to Dr.Mundo during the Spring Split. 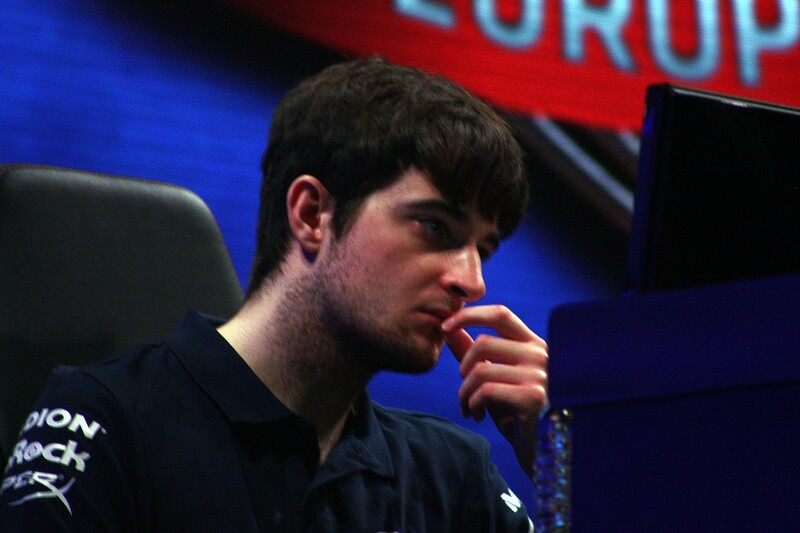 Usually favouring tanky champions, Simon never got the chance to shine with impressive individual plays. Regardless, the playoffs saw a fredy who was giving a very hard time to both Wickd and Kev1n. I am sure everyone will remember the sick outplay (video by clicking on the picture below) he did with Aatrox once ganked by Shook's Lee Sin and kept in a CC chain by Wickd's Alistair. That move not only showcased mechanics, but an ability to improvise under pressure. A wall on top and a fearsome laner, Simon deserved all the highlights for consistently putting up good performances and being a foundation on top of which (no pun intended) the team executed strategies, gained advantages and won games. Hard work always pays off in the end and our team put in a lot of work in order to get where they are today. Only time will tell what awaits in Asia as the team is yet to see who they will face in the group stages of the World Finals. And while SK Gaming did not pass the Summer Split test with flying colours, they made a statement which was back up by results and an intelligent approach to the game, something which few teams rely on. The tale does not end here. Soon starting their practise, the boys will be waving the SK flag in Taiwan, Singapore and hopefully, South Korea. This being a first Worlds appearance for four out of the five players and the second time that SK as an organisation goes there, marks a new chapter in both books. Gaming is believing and SK believes.